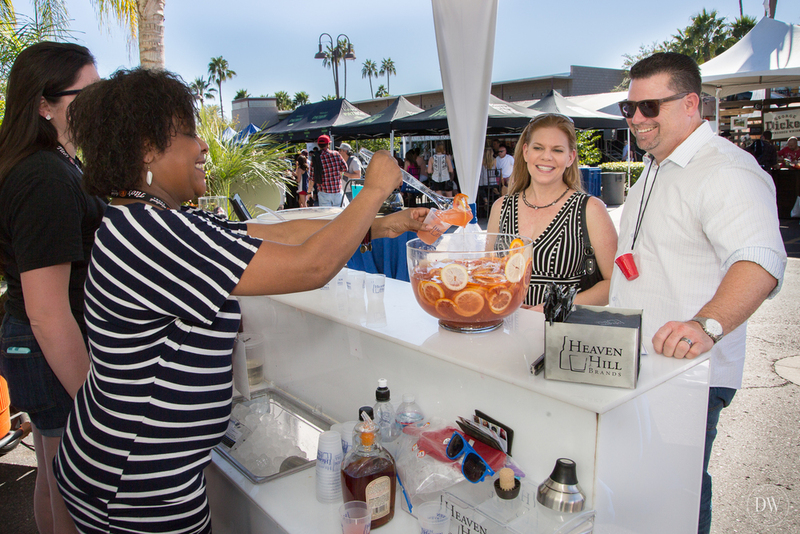 On Saturday, February 13th, the fifth annual Arizona Cocktail Week kicked off with seminars and activities at the Hotel Valley Ho. This is one of my favorite Arizona events and I've never missed a year. 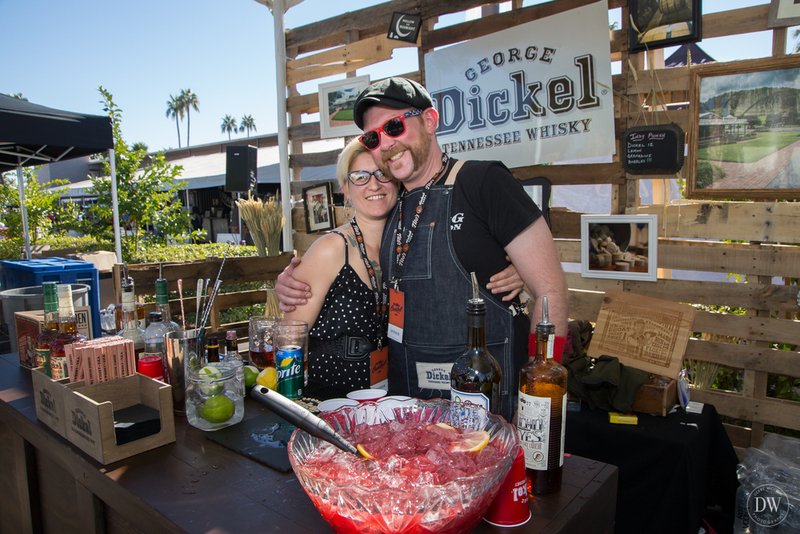 Events throughout the week include a Cocktail Carnival, educational seminars, Top Bars event, Bartender Swap, Cocktailgating, Last Slinger Standing competition, Storytellers Dinner, the Artisanal Market, and Imbibe 'n Dine dinners at various restaurants throughout the Valley. Visit my Events page for a schedule of upcoming activities. The day started off with Bellinis, Mimosas, Bloody Marys, and a Cartel Coffee Bar. 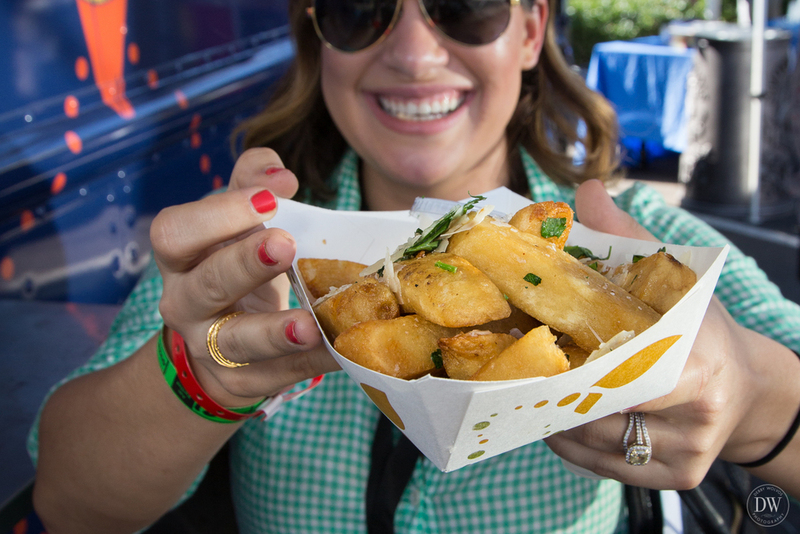 New this year was an expanded "Cocktailgating" area in the afternoon with food trucks (I loved the duck fat fries at Frites Street! ), spirit tastings, cocktails, beer, the Jack Daniels' mobile museum, cocktail trucks, games, and more. It was a perfect day to cocktailgate! I didn't make it this year, but for those wanting to continue the celebration, that night the always-popular Cocktail Carnival would set up around the Hotel Valley Ho Pool "with over 25 different tables and booths including some “Secret Suites” with attractions and performers galore." Afterwards, the official after-party celebrated agave spirits. Agave Alley promised to be "an Agave-fueled bowling extravaganza" and invited guests to "Come and sample over a dozen of some of Mexico’s finest agave spirits while bowling! Transportation will be provided from the Hotel Valley Ho to Bowlmor Lanes in Scottsdale, courtesy of Tequila Don Julio." The event was sponsored by Tequila Arrette, Azunia, Clase Azul, Del Maguey, El Silencio Mezcal, Tequila Don Fulano, Tequila Don Julio, Dulce Vida, Fortaleza, Herradura, Kimosabe, L & J Tequila, Tequila Ocho, Patron, Tanteo, and Wahaka Mezcal.